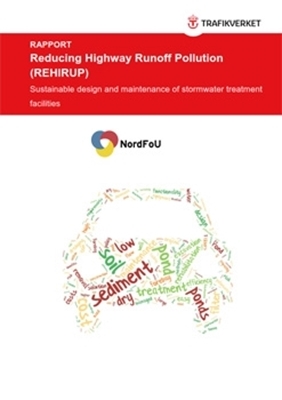 Management practices for handling highway runoff differ between the various European national road administrations. These differences manifest themselves in different approaches related to planning, construction and operation of runoff treatment facilities. For example, Sweden, Norway and Germany, use different standard guidelines when managing stormwater. Proprietors, owners, consultants and building contractors involved in design and construction of treatment facilities are accountable for meeting the requirements set by the national road administrations or by the national environmental authorities. optimised multiple use of the land utilised for runoff management, and an overall better utilization of resources. One of the project objectives is to provide recommendations for maintenance of future BMPs such as settling ponds, subterranean stormwater storage facilities and filters, and thereby improve road runoff management in an environmentally and economically sustainable way. This report summarizes outcomes of two work packages (WPs) of the REHIRUP project, namely Maintenance (WP2) and Sustainable design (WP4).